Time to relax and pamper. Having your honey rub your back is really sweet but how about you take this gesture a step forward. Pamper yourself and your partner with this sweet gesture but with the hands of a pro. A good massage therapist can make you feel like a new person, so fall in love again over an intimate massage therapy. 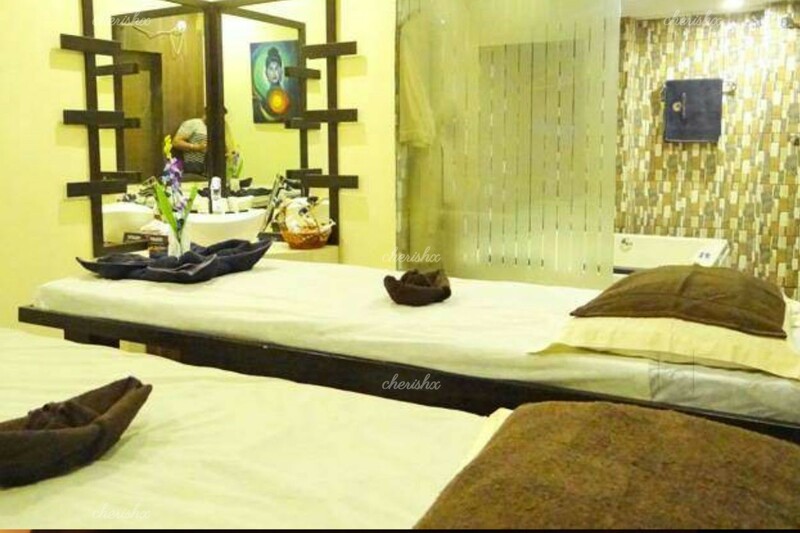 Have a rejuvenating spa experience side by side with your partner with additional benefits of the massage( ease insomnia, boost immunity, prevent PMS, and more). This invigorating massage will revive all your body muscles and release the daily stress.Your experience starts with a relaxing green tea. Thereafter you two head for a therapeutic massage, buffing away the dead skin. This pampering journey beside your loved one fuels interesting conversations and intimate moments. Rubbing massage therapy includes application of various techniques to the muscular structure and soft tissues of the body that include applying fixed or movable pressure, holding, vibration, rocking, friction, kneading and compression using primarily the hands, although massage therapists do use other areas of the body, such as the forearms, elbows or feet. Go for Swedish / Aroma / Deep Tissue massage together and relieve tired and aching muscles this weekend.